Stretchability and a little bit of sass make this hemp/organic cotton stretch mini skirt perfectly practical and adorable by itself or over leggings, tailblazers (https://www.etsy.com/listing/201169681/tailblazer-womens-hemp-yoga-shorts?ref=shop_home_active_27) or even your bathing suit coming to and from the beach! Cut semi A-line with a wide waistband featuring Surya Leela's hidden pocket on the inside. Leela lion logo patch is stitched on the front of waistband. Additional patches - "ahimsa", "satya", "sukha", "jai" - can be added upon request ($12 each). Length is about 13.5" from waist, but it can be cut slightly shorter or longer according to your preference... Simply let me know when checking out. 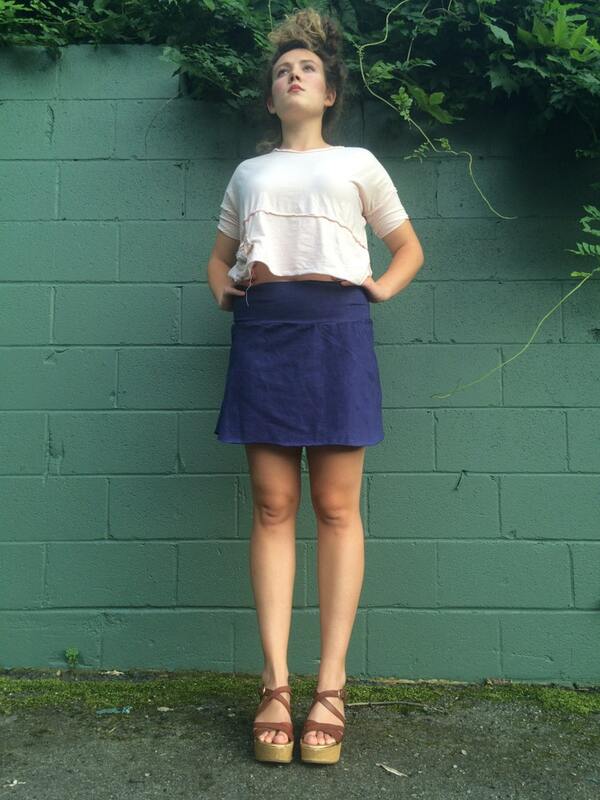 Color shown here is Bright Navy, and this model (5'4", 128 lbs.) is wearing a size Small. Very pretty rich blue color. Not really hemmed. Great seller. Always beautiful work. Love love my skirt! LOVE! will be ordering another one soon. The color is awesome and it looks so adorable. Great buy!